In business glossary, the terms sales and revenue are often used as synonyms, but there is a fine line that demarcates the two. Sales refer to the proceeds received from the selling of goods and services to the customers. It represents the contract between the buyer and seller that incorporates transfer of title of goods, in exchange for adequate consideration. On the other hand, revenue indicates the total amount of cash generated by the company from its diverse range of activities. It delineates the income earned from selling goods, delivering services or using capital in any other way, related to the core activities of the business, before giving effect to the expenses and costs. In this article, an attempt is made to shed light on the differences between sales and revenue, so take a read. 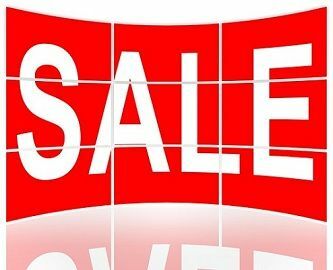 Meaning Sales refers to the selling of goods and services to customers, in exchange for money, during a financial year. The proceeds received by the business, through its diverse sources is known as revenue. Incorporates Economic value of product and service received from customers. All sources of income, i.e. sales, interest, dividend, royalty and so on. Can they exist without each other? No, sales cannot exist without revenue. Yes, separate existence of revenue without sales is possible. Before understanding the meaning of sales, let’s first take a glance on the meaning of word ‘sale’ – it is the exchange of goods and services, for consideration whereby ownership of goods passes to the buyer with the transfer of goods. The term sales are not much different from ‘sale’. It is the total economic value of the output sold by the business during a particular financial year. Sales can be obtained by multiplying the number of units sold by the company during the year with the selling price of the product. Sales actually refer to total sales of the company, i.e. it includes both cash sales and credit sales. The revenue generated from the sale of goods and services is known as sales revenue. The income generated by the business from its operational and non-operational activities is known as revenue. It is the gross amount, before deducting any cost and expenses. It refers to the aggregate of all money received by the company, during a particular period. There are some sources of company’s revenue that includes both revenue from its core and peripheral operations. Such sources are interest, dividend, rent, fees, donation, royalty, sale of old assets and so on. When revenue received from the routine operations (primary activities) of business, it is known as sales revenue (operating revenue). On the other hand, revenue from other sources is termed as non-operating revenue. Revenue can be different for goods and service industry, i.e. a manufacturing firm will earn maximum part of its revenue from the sale of goods. In contrast to service rendering firm like a beauty salon will receive the maximum part of their revenue from delivering services to customers. Revenue appears at the top of the income statement, from which all the taxes, discounts and other expenses are deducted to arrive at the net income of the company. Net income appears at the bottom of the income statement. Sales refer to some goods sold and services rendered by the company during a particular financial year. Revenue is the money received by the company from its varied activities. While sales are one of the major sources of company’s revenue, revenue is the outcome of sales. Sales represent the operating revenue, whereas revenue refers to total revenue of the business which includes both operating and non-operating revenue. Sales encompass the monetary value received from the sale of products and services to the customers. On the other hand, revenue comprises of all sources, which helps in the generation of revenue for the company, i.e. interest, royalty, donation, sales, fees, dividend, etc. There is no existence of sales without revenue, but revenue can be generated from sources other than sales. So, it can be said that revenue has an individual existence. As we know that the sales are inseparable from revenue, this is one of the main reason for considering the two terms as one. But as we discussed above, there are some distinguishing points between them. Sales are only a part of revenue while revenue is the outcome of sales. No doubt, sales is an important and largest source of company’s revenue, but you cannot ignore the fact that it is not the one and only source, as there are other sources also, from where the company can easily derive its income. Moreover, you can call sales as the revenue, but only when a company’s earnings are solely from sales and no other sources are being used.